Also new to the Clayton River Adventure series in this book is a young lady named Camryn, her poodle dog named Rocco, and Camryn's grandparents. Does the necklace have special vibes or is it just coincidences that the necklace seems to bring on good happenings? 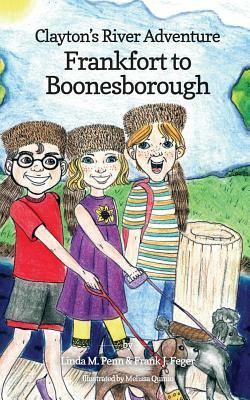 Clayton's River Adventure to Boonesborough, targeted for grades 3 - 6, contains facts about the Kentucky River, dreamcatchers, Daniel Boone and Capt. James Harrod and the westward expansion of this country in the 1700's, and the history of the Shaker community.